2 bedrooms (north facing) have twin beds. 1 bedroom (east facing) has a double bed. All bedrooms have private entrances onto verandas. Disa Cottage is a self catering apartment that sleeps up to 4 persons. There is one double bedroom with twin beds and it has a sleeper couch in the lounge. There is a built-in braai unit on the stoep. There is a washing machine. Secure off road parking behind locked gates. 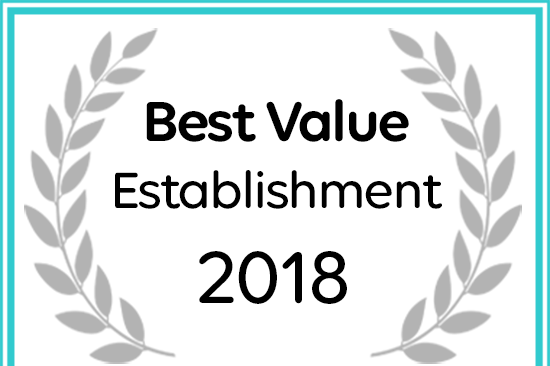 Disa Lodge has been named a 2018 Best Value Establishment.